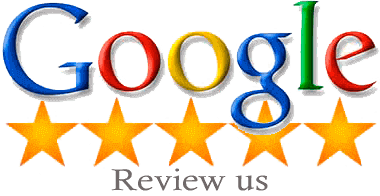 Capital Facility Services had been providing commercial cleaning services to clients for over 20 years. 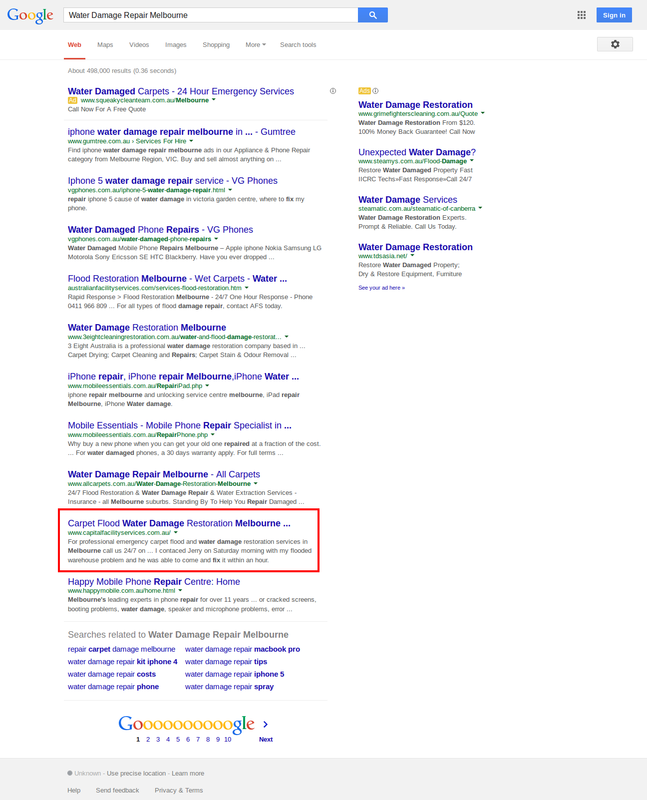 They had an existing website that Platinum SEO developed to increase their online presence and conversion rate. 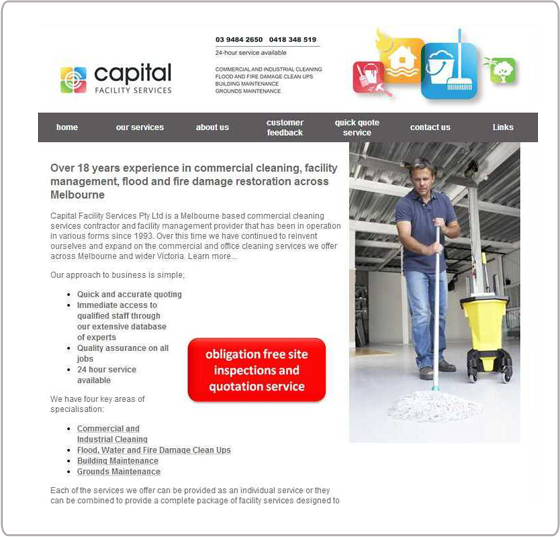 Capital Facility Services are a company specialising in commercial cleaning services. 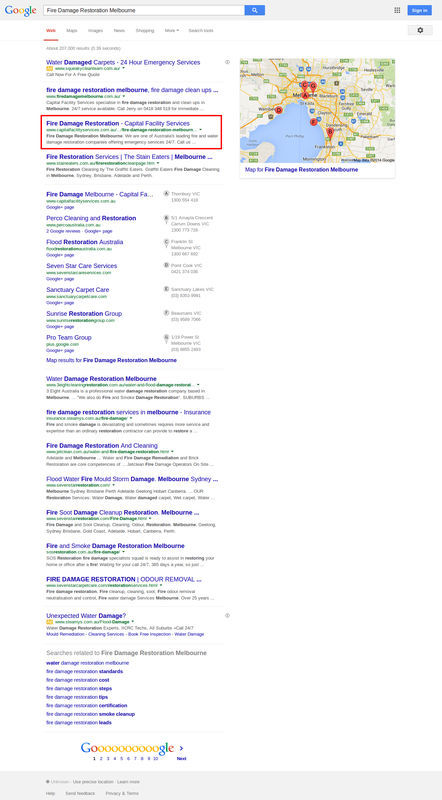 They can also provide restoration services for things like heater and fire damage. 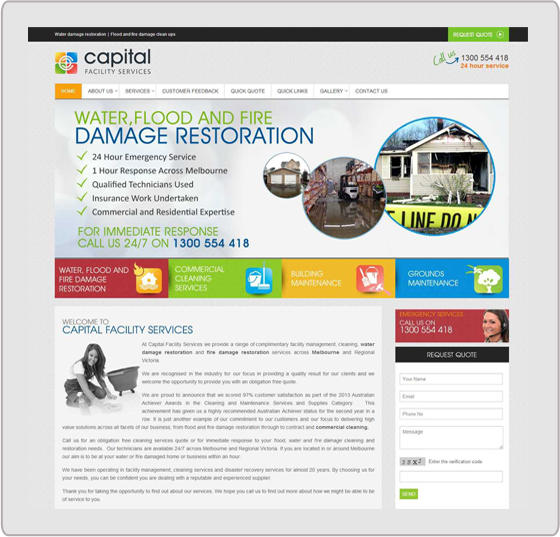 When Capital Facility Services came to us, they lacked any form of online presence. They requested that we create a complete SEO strategy for them that would cover all aspects of their digital development and online presence. 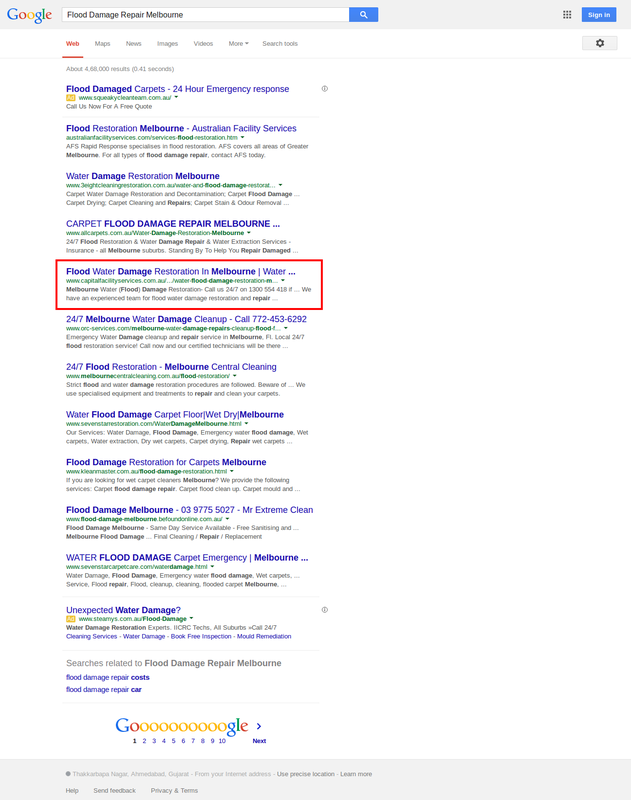 To achieve this, Platinum SEO created a holistic strategy based around the optimisation of keywords. By developing responsive and efficient web design, we helped improve CRO to reduce bounce rate and improve the ROI of Capital Facility Services. We also integrated an easy to use online payment service. By implementing a social media strategy that integrated platforms like Twitter and Facebook, we have helped Capital Facility Services connect better with their customers.